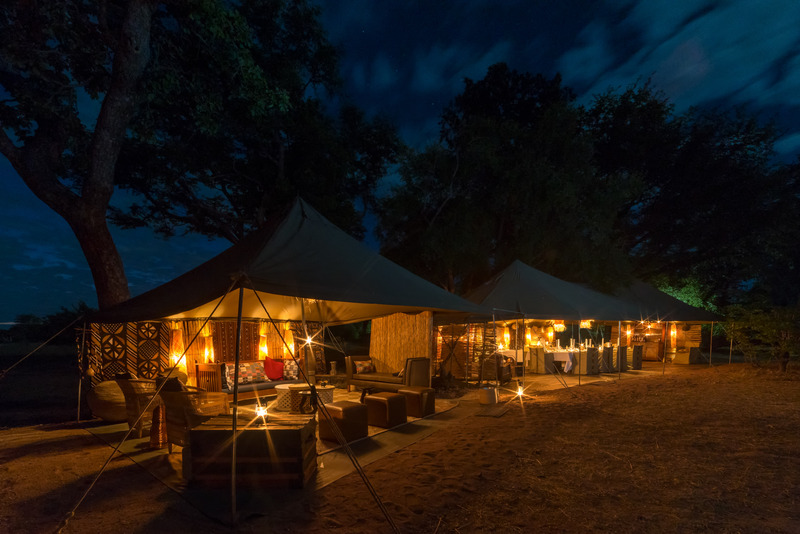 Hwange Bush Camp is situated in the remote northern region of Hwange National Park in Zimbabwe. Situated in the hilly countryside of Deteema Dam, the Robins Area offers guests scenic diversity with huge open grass lands, natural springs and pumped water points. 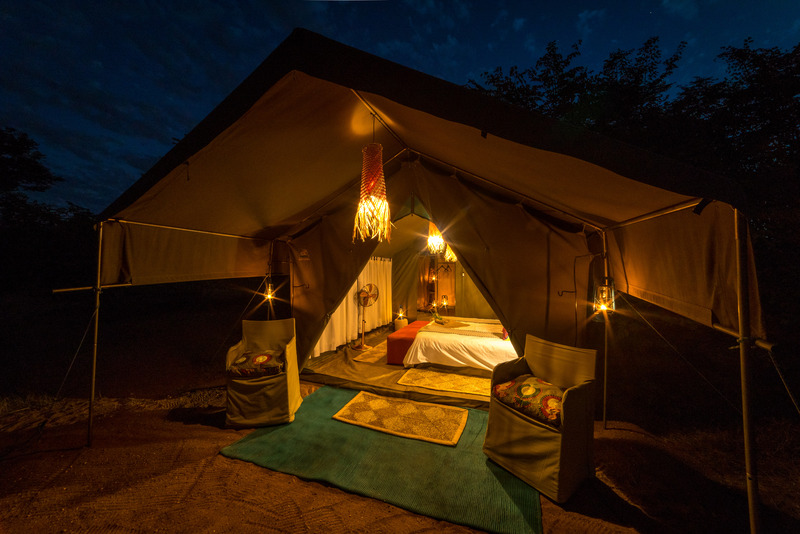 Nestled under a canopy of trees, our Bush Camp caters for a maximum of twelve guests in six spacious and tastefully decorated twin bedded Meru tents, each with private en-suite facilities including flush toilets and a bush shower with hot water being made available on request. 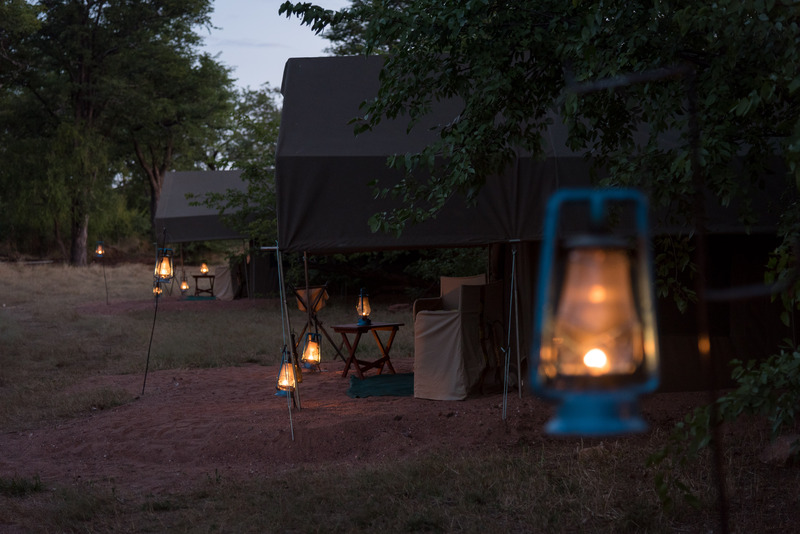 The shady lounge and dining area is the focal point of the camp, tastefully decorated with rustic hints of old world colonial charm, reminiscent of those enjoyed by early explorers to the continent. • The main living area includes a dining, bar and lounge area with an open air fire pit with incredible view of the stars. • Fully inclusive rate includes all meals & beverages, accommodation, activities, laundry and Emergency Medical Evacuation cover. 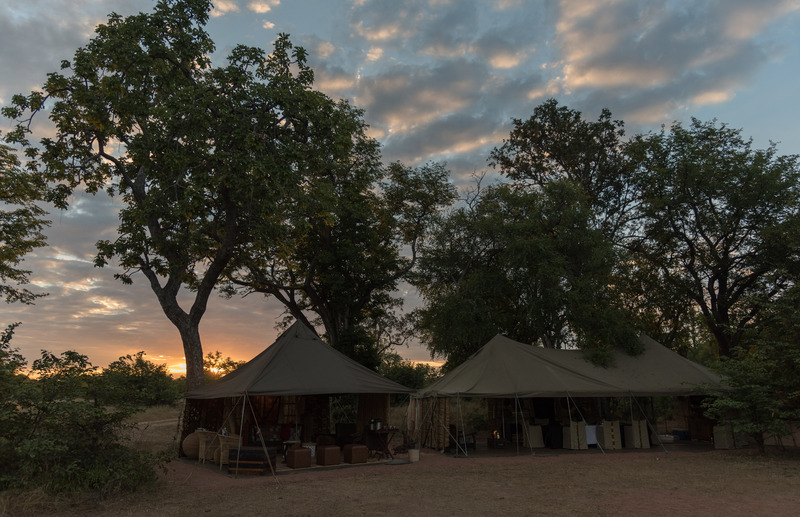 • Children over the age of 8 are most welcome, children at Hwange Bush Camp should be under the supervision of their parents or a guardian at all times. • Children aged 8—12 years will be charged 50% of the adult sharing rate. Children over 12 years will be charged full adult rate. • All children aged between 8—14 should be accompanied by one parent or Legal guardian in the room at night. • The age limit for children on a walking safari is 12 years and above, however, this will be at the discretion of the Pro guide in camp. 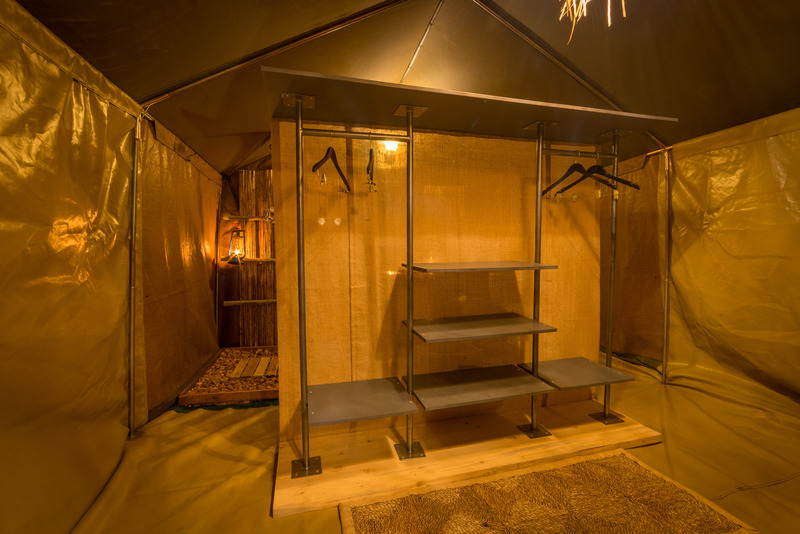 • All guests must sign our indemnity form on arrival in camp. • Lighting and a fan in the tent are powered by solar. 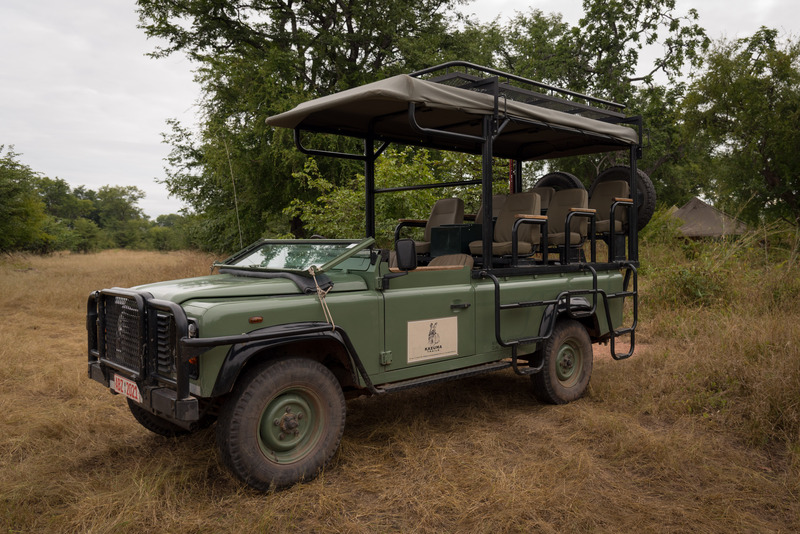 • There are inverters in the game drive vehicles for charging of cameras and electrical items. • There is also a charging station in the dinning area that works when the generator is on to charge camera and electrical items. • Gratuities and all items of a personal nature are not included. • Private vehicles can be arranged prior to arrival at an additional charge. Activities are centered on game drives and walks or a combination of the two. Our emphasis is on guest experience and not ticking of all the animals. Walks are especially exciting and our professional guides pride themselves on their knowledge of the big and small things that make up the environment. Due to their being a number of water holes in the area, they attract an abundant variety of animals and birdlife. Therefore these can be great places to view the animal that come down to drink. Located not far to the south of Deteema dam in the Robins Area of Hwange National Park.